BOTTOMLESS melodies of enchantingly chilled guitar are the epitome of Liverpool based quartet, Seprona. 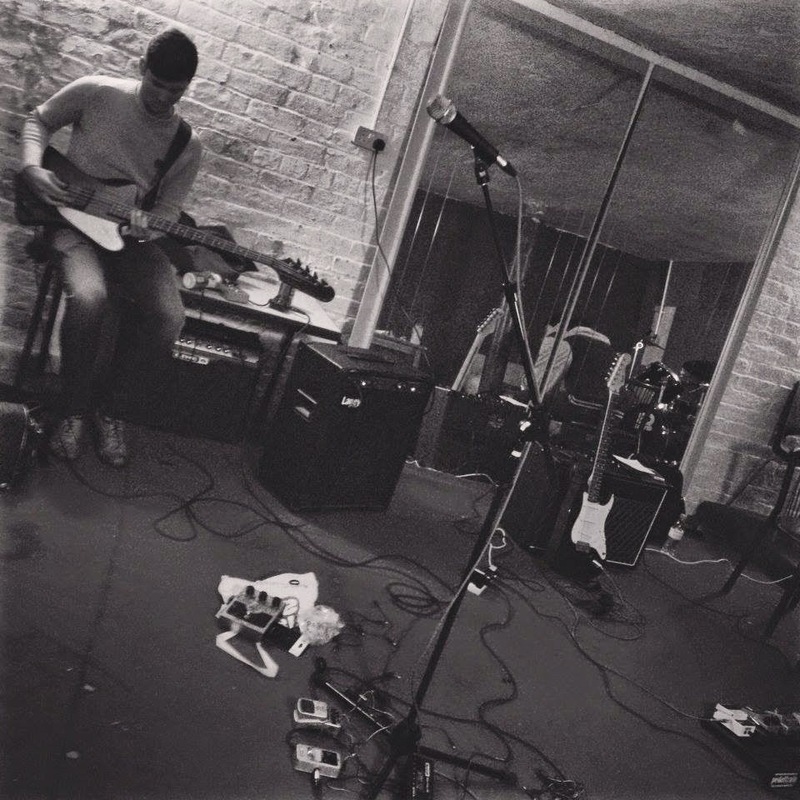 Starting life back in 2010, Seprona have just got back from recording two tracks at the notoriously favourable, Parr Street Studios. Progression certainly seems to be the key phrase for Seprona as their music seeps this instilled rawness which varies in formation from track to track, almost showing their journey as musicians as it begins to pick up hastily at a rather eager pace. Two of the tracks the lads recorded back in Parr Street are available upon their soundcloud to listen to intently, one of them being - 'Take The Bait'. Fancifully presented, the track begins with a catchy harmonium, closely followed by a familiar locality within the vocals, very much pushing this united Merseysidal stamp upon their music which definitely will attract many of their future listeners to take a chance with their journey beyond the mellow concave of which Seprona so boldly stands. Hastily changing tact, the track somewhat grows with age, fully becoming this fanaticism of pure hollowed capability and unobtrusive moulding of Liverpool's home-grown siren. Do you think there has ever been a 'fashion' with being a band from Liverpool? so maybe people in bands from here are influenced by that, but its not something we have thought about like. It doesn't really matter where people are from, if they make good music then that's all that should matter I suppose. How did the name Seprona come to be? We were trying to think of names for ages, and there were some terrible suggestions. Finding a name seemed to be the hardest part for us. But I used to study Spanish in college, and remembered the word Seprona and just thought it sounded quite good. I will let people do their own research in to finding out exactly what it is haha. You've recently recorded in Parr Street Studios, do you think this has almost strengthened your name somewhat locally? I think that maybe because of the recording quality of the songs themselves rather than the place, if that makes sense. Working with Chris Taylor in Parr Street was brilliant. He was really enthusiastic about the tracks we recorded and guided us with the process. The facilities that Parr Street has and working with him allowed us to get the songs sounding exactly how we wanted them to. So I think in that sense it has helped us, and in a sense shows we are serious about our music. So maybe that helps us out? Why do you think people get such a kick from playing live music? I can only speak from personal experience, but there is no better feeling. I just love music in general, as cheesy as that sounds, I wouldn't be happy doing anything else, so It feels more like that's what we should be doing. But with regards Playing songs live you get an instant reaction from people, and when the audience are getting into it and enjoying themselves it makes it so much better. We always try and hang around after we have played and invite people to come and talk to us, and so far it's generally been all positive feedback. Recently we played a couple of gig and a few people have come up to us at the end of them and have been saying how much they like our songs and they can't wait to hear more, so for me that is the best part of it. Do you think gigging is the best way to get your music heard? It depends on the gig I suppose, if you're playing in an empty room with a load of bands that don't quite fit together, which does happen at some gigs, then it's a bit more of a hindrance than a help. Like I've been to gigs were there's been like an acoustic artist on then a metal band. Which is a waste of time for everyone. But if you can play gigs to the right kind of audience then it's the best way to get your name about and it's a good challenge to try and win people over who have never even heard of us before. I do think other things are important and we do try to be as proactive as we can be with social media and being played on radios. But it doesn't really matter how people get into our music, if they like it then that's all that matters to me. Where's the best place to go if you want to buy Seprona a drink? Haha that's a tough one, we have been out a good few times usually after gigs and it's been different every time, but there's a new bar called Motel which is quite nice, but TriBeCa, Mojo are my favourite places, but I'm sure that the others would possibly disagree. Is social media a good or bad thing when it comes to music? I think it's a good thing, it gives us a chance to interact with fans of our music, tell them what's going on and what we are up to, plus we get to know a bit about them, it makes things a lot less formal. As well going back to before and the question about gigs. It gives people who enjoyed our set a platform to go and listen to our music again and hopefully a way of helping spread the word. So surely that's a positive thing. Are festivals something you'd be interested in? Definitely! It's something we are looking into at the moment, like I did some work at sound city this year so would love to get to play it because it was such a good experience. I am going to glastonbury festival this year too. I'd love to play there, but unfortunately we haven't got the phone call from Michael Eavis just yet. But yer, I think the whole festival atmosphere and setting would be a perfect fit for our music. So we really would love to get involved in as many of them as possible! Can you dish any dirt on your fellow members? Haha I could do but our mums might read this so it's probably best if I keep my mouth shut. What does the future hold for Seprona? Hopefully bigger and better things! We just want to try and get our tunes heard by as many people as possible, carry on playing gigs in Liverpool and further afield. We are currently in talks to play in a few other places round the UK which will be boss. Other than that try and worm our way on to festivals and maybe a big Liverpool gig later on in the year. We are currently recording demo tracks in our practice room, seeing what songs sound best and potentially recording an EP to be released in a few months. But nothing is set in stone yet, so we will just have to see how it pans out. But hopefully you will be seeing a lot more of Seprona very soon!